WWE Magazine. . Wallpaper and background images in the Jeff Hardy club tagged: jeff hardy wrestler wwe magazine cover wwe magazine. 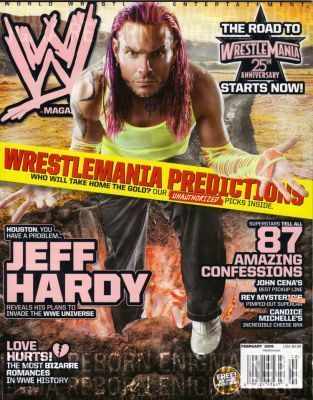 This Jeff Hardy photo contains アニメ, 漫画, マンガ, and コミック.